A collaborative georeferencing and data enhancement project titled "Georeferencing U.S. 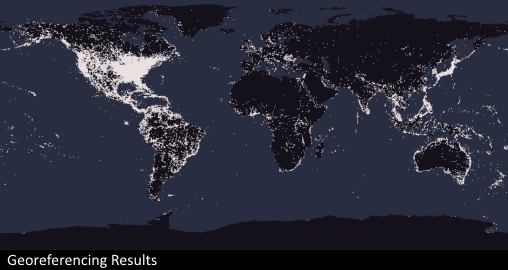 Fish Collections: a community-based model to georeferencing natural history collections" has been funded by the United States National Science Foundation. Twelve collaborating institutions are working to expand and improve data quality within the FishNet network with a primary focus on geospatial referencing records lacking geographic coordinates (approximately 45% of the network holdings at the time of funding). The georeferencing phase has been completed and we are now in the process of data repatriation.